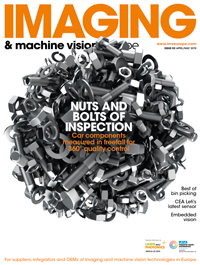 Ajile Light Industries, Leica, and RDI Technologies have been shortlisted for SPIE’s Prism Award in the category of imaging and cameras. The Prism Awards recognise excellence in photonic products, and are presented each year at Photonics West in categories covering the complete range of photonic technologies, from sensors and detectors, to optics, to industrial lasers. Ajile Light Industries is a finalist for its DepthScan 3D imaging system, which is based on structured light and can gather four million colour points in 250ms. The system has a depth accuracy of 100µm. Leica was shortlisted for its BLK3D, a handheld imaging device that gives 3D measurements from any image it captures. BLK3D is designed for professionals working in architecture, construction, public safety and real estate. Finally, RDI Technologies’ system is designed to measure small movements and vibration. RDI’s instrument is able to convert the sensor into one capable of measuring vibration and visualise motion.